Whether you need a replacement, repair, or seasonal maintenance done on your residential HVAC system, it is important to have a well-qualified technician doing the job. The last thing you want to have to do is call the HVAC company back out to your home in a few weeks because the job wasn’t done right the first time around. This scenario only results in time lost and more money spent. To avoid that, consider hiring a NATE-certified technician. 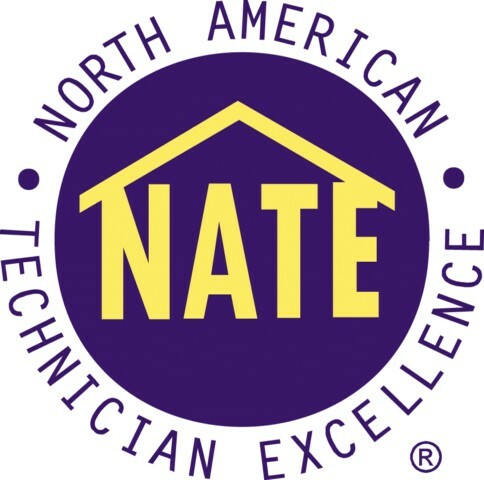 It stands for North American Technician Excellence and it’s the largest non-profit organization that certifies professionals in the heating, ventilation, air conditioning and refrigeration industry. In order to be NATE-certified, technicians must pass an exam that tests their knowledge in a real-life scenario. A more energy-efficient unit. An improper install of HVAC equipment can reduce its efficiency by up to 30%, this according to the United States Department of Energy. Energy bill savings. Reduced efficiency means your unit will require more energy to operate, which means a bigger energy bill, which means more money out of your pocket. Bonus benefit: to maintain efficiency throughout the years, have a NATE-certified tech perform regular maintenance, which keeps your energy bill lower for longer. Longer life of your system. Proper installation and maintenance guarantees your system is operating as it should, with no added stress on certain components. When this happens, your system lasts longer. Keep occupants comfortable. Indoor temperatures and ideal relative humidity play a big role in keeping people comfortable and productive. A NATE-certified tech can ensure your equipment is sized, installed and maintained properly. Improved indoor air quality. Old air filters, leaking ductwork, and dusty supply/return registers can cause pollution in your indoor air. A well-trained expert will catch these issues and solve them in no time. Keep you safe. Carbon monoxide leaks can be a life and death matter, and a faulty install that results in hazardous operation could cause a fire or explosion. While cases like these are uncommon, it is a risk you shouldn’t be willing to take when it comes to your home and family. Get the job done right the first time. On average, NATE-certified techs have fewer callbacks, meaning they meet the requirements of what is expected of them more often than a non-certified tech. Less repairs over the life of the system. Preventative maintenance from a knowledgeable technician can catch or even prevent problems early, saving you money on bigger, more costly repairs down the road.